Slake’s Soliloquy: Why clubs should pay huge sums for youngsters. It all started with Luke Shaw. No, that’s not right. It probably started before Shaw was even born. As far back as we can remember, the biggest clubs in the world have paid big transfer fees for young players with potential – prospects. It isn’t new. However, it does seem like fans of clubs especially rival fans have become more vocal about their agreement or disagreement with such huge splashes of cash on players who may or may not justify the price tags.&nbsp; Why? Perhaps social media has helped amplify the thoughts and opinions of fans the world over such that voiced concerns can fly about. The internet generally has helped fans follow their clubs’ transfer businesses every step of the way. Therefore, issues such as supposedly overpaying for a prospect have dominated widespread discourse. So, what is wrong with paying for potential? Transfers are calculated risks that may or may not pay off. Even if you are paying ridiculous money to buy someone like Thomas Muller, for instance, there is still some risk involved. You have to consider things such as adaptation, style of play, potential injuries etc. Of course he is more than likely to justify whatever ridiculous amount you pay to get him but in football, anything can happen. 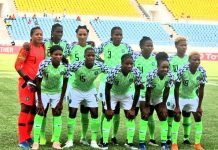 Yes, with established players the risk is considerably less because of experience but a bad start can derail any good player who doesn’t have the mentality to handle the pressure and bad luck. If you watched Soldado before he joined Spurs, you probably wouldn’t have imagined him leaving Spurs a few years later a flop. Worse, you could never have guessed that Harry Kane of all people would be the final nail in the coffin of his Spurs career. Somehow, that happened. Football eh? When Barcelona paid a lot of money for 19-year old Javier Saviola in 2001, it seemed reasonable. Fresh off winning the U-20 world cup where he bagged the top scorer and best player awards, he was one of the top prospects in the world and his potential was frightening. They were not just paying for his ability at the time, they were paying for his potential as well. For a while he looked like justifying all the money spent on him. Unfortunately, things didn’t turn out quite well. 6 years later, after 2 loan spells and 49 goals in 123 league games for Barcelona, he left on a free transfer. It simply didn’t go as planned. Atletico Madrid broke their transfer record for 18 year old Sergio Aguero in 2006. He was relatively unknown and perhaps wasn’t even as big a prospect as Saviola was in his time. However, the money paid was more for his potential than his ability at the time of the transfer. By 2011 when he finally made his big money move from Atleti to Manchester City, he had scored over a hundred goals for Atleti and was the darling of the Atleti fans. He had more than justified the big transfer fee spent on him. 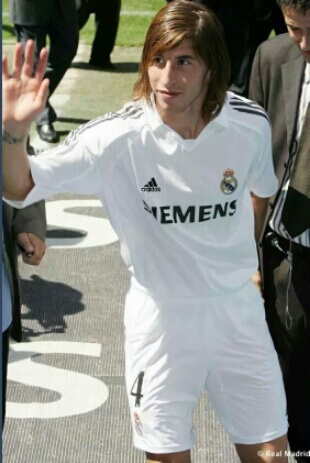 Sergio Ramos was a 19 year old with just 39 top flight league games under his belt when Real Madrid paid big money for him 2005. His potential was clear for all to see and Real Madrid took a risk by paying so much for him. Some probably questioned paying so much for a teenager at the time. Now, ten years later, that decision has proven to be a great one. It simply wasn’t about the price tag but the potential seen in the player. Again, what is wrong with paying for potential? Why do people complain so much about supposedly ‘inflated’ transfer fees for young talents? Of course, from the perspective of the player with the potential, a big transfer fee can be a heavy burden. The player feels the weight of the fee paid for him and the media go on and on about him and how well he is justifying it or not worth the money after all. This can have a serious effect on the player’s performances and overall confidence especially if things aren’t going so well already or he hits a bad patch of form. However, this can be fixed by the manager taking the pressure off him. A 20 year old player bought for over 30 million Pounds because of his potential should be allowed to grow. His manager should not take the media’s bait and throw him into the spotlight immediately. He should also do everything to deflect attention from the player and his ability to justify his own price tag. This has been the undoing of many potentially great players that incurred huge transfer fees. If the buying club have the means and the selling club refuse to sell for less than an inflated fee, it is reasonable for the buying club to spend big to get their man if they are convinced by his potential. If a player’s potential at 18 is good enough to convince an interested club to pay over the odds for him, it is a reasonable risk. An 18 year old can give the club seven good seasons or more. With that in mind, it makes perfect sense for the interested club to spend big. Talk of price tag making a player ‘overrated’ is not only silly but complete nonsense. This is especially true if his potential was taken into consideration before a huge transfer fee was paid for him. The talk of the entire window was Manchester City paying 49 million pounds for Raheem Sterling. A lot of fans and pundits started going on about inflated transfer fees, overrated English talent, etc. To me, it made perfect sense. Manchester City were interested in a young home-grown talent and Liverpool did not have to sell. 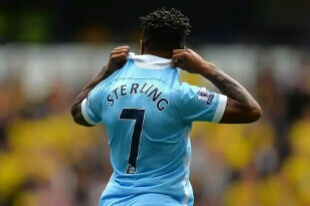 Therefore, Manchester City had to bid what they thought Sterling was worth. Liverpool set an asking price above it and held out in spite of a number of lower bids from Manchester City. Eventually, City were forced to pay up. Liverpool got big money and City got their man. Sterling has the potential to become a mainstay in their first team squad, lead them to a title or more and give them about seven quality seasons. He is also home-grown – something that Manchester City desperately needed – and is a full England international. Social media buzzed with opinions and counter-opinions about whether Raheem was worth that much and how Manchester City were ruining football by paying that kind of money for young, possibly ‘overrated’ English talent. There was also the usual talk of how English clubs were perpetuating the preposterous hype of English talent by requesting ridiculous transfer fees for their players. I found all that talk rather unnecessary and tiresome. Football is a business and not wanting to perpetuate ‘unmerited hype’ is a senseless reason for any club to sell their star talents cheap. A club can and should request whatever fee they deem reasonable for their young, star players. If the interested club(s) look at the player’s potential and feel that paying so much is a reasonable risk, they should pay it and get their man. Inflated transfer fees constituting unnecessary hype and helping to ‘overrate’ a player should not have any effect on the transfer business they are conducting. It simply has no bearing on the achievement of their goals. Last year, there was a lot of talk about Manchester United paying so much for a then 18 year old Luke Shaw and paying him absurd wages. The rants seemed rather funny to me especially as a lot of football enthusiasts were convinced they were right in questioning the deal as Shaw struggled with fitness problems. 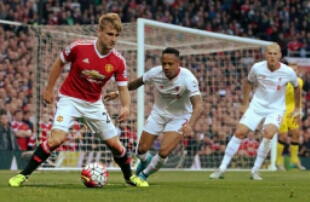 It was obvious as soon as the deal was completed that the fee was paid for Shaw’s potential. An 18 year old who already had reasonable top flight experience, was already capped for England, had played at the world cup and had impressed consistently throughout the just concluded season where he was named in the premier league team of the year cost 30 million Pounds and people saw it as unreasonable. Shaw’s potential was and is honestly quite frightening and anybody who thinks Manchester United overpaid for him must not watch enough football. The transfer made perfect sense. Now, the big issue is Anthony Martial. A lot of the concerns were quite reasonable. Rooney had looked quite poor and Manchester United needed an experienced striker in his prime to come in and start bagging the goals. Javier Hernandez was also off to Leverkusen. So who did Manchester United turn to as the solution and spend so much money on? A 19 year old who had scored only 15 career goals. Some fans wondered, others complained. Rival fans found it funny and hit troll-mode. 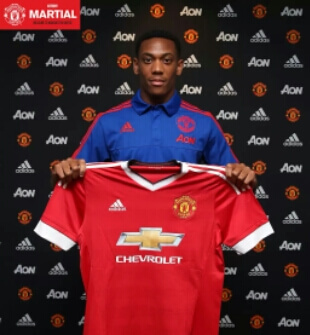 However, those who had seen Martial play could see that it made some sense. Martial isn’t your everyday talent. 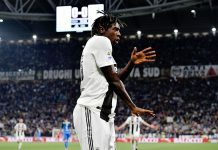 He has been a handful for experienced defenders he has faced so far and he was especially impressive in the Champions League playoffs against Valencia. Perhaps these are some of the things Louis Van Gaal saw when he took a gamble on Anthony. He might not be the finished article yet and may not even fulfil his potential eventually or justify the huge transfer fee but spending so much on his potential was a reasonable risk. He could go on to give Manchester United seven or more quality seasons and all the talk about his transfer fee would be forgotten. That is the thing about paying big for potential. So, what is wrong with paying big or ‘overpaying’ for potential? Absolutely nothing. In fact, I believe there is no such thing as ‘overpaying for potential’. You simply pay what you think the potential is worth after analysing the risk. If it works out, great. If it doesn’t? Find another player with potential and try again. Every time a club pays a huge transfer fee for a young player with special focus on his potential, there is always the chance that he will fail and never actually fulfil that potential with them. On the other hand, there is also the chance he will absolutely smash it with them and do great things. It’s football. A player with potential can turn out to be Mateja Kezman or Didier Drogba. Fans, pundits and football enthusiasts need to stop complaining so much about price tags and inflated transfer fees and focus on the football; the most important thing. Whoever’s got the money can spend big on potential as they like. It just makes perfect sense. Previous articleSlake’s Soliloquy: The World Class Debate.